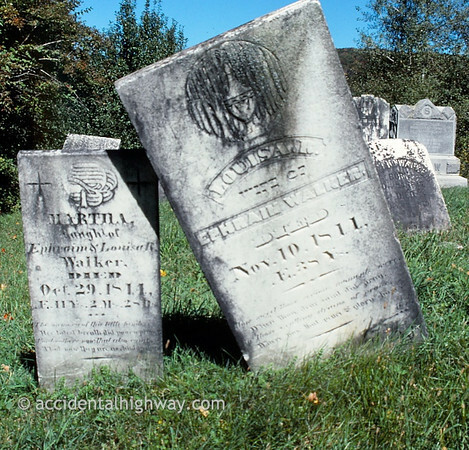 The West Becket Cemetery includes the graves of Revolutionary War soldiers. 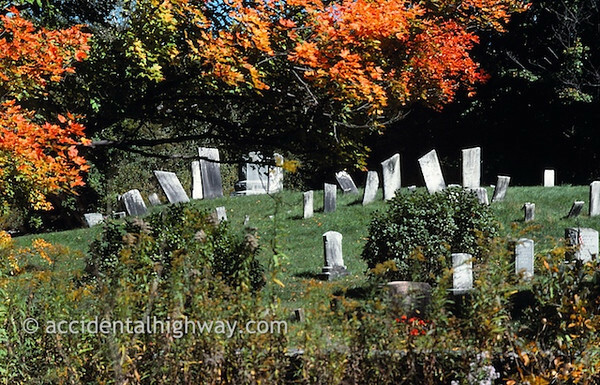 The headstones, tilted this way and that by time, seem to mimic the surrounding hills and Berkshire Mountains of western Massachusetts. This entry was posted on July 22, 2011 at 1:04 pm and is filed under Massachusetts. You can follow any responses to this entry through the RSS 2.0 feed. You can leave a response, or trackback from your own site.